I don’t know if it’s been properly proven but the adage that some things get better with age can often apply to a musician. In the case of Dance Hall (Justin Time), the new album from drummer Jerry Granelli, experience makes for great music. 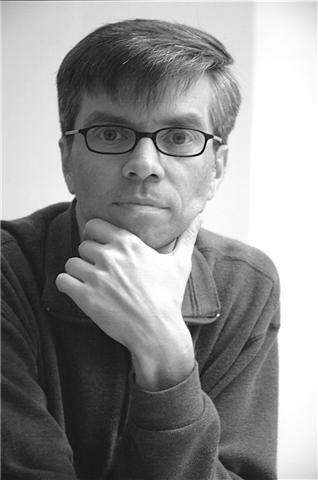 On this session, the producer is Lee Townsend, whose know-how makes him one of the best sound designers in the business. 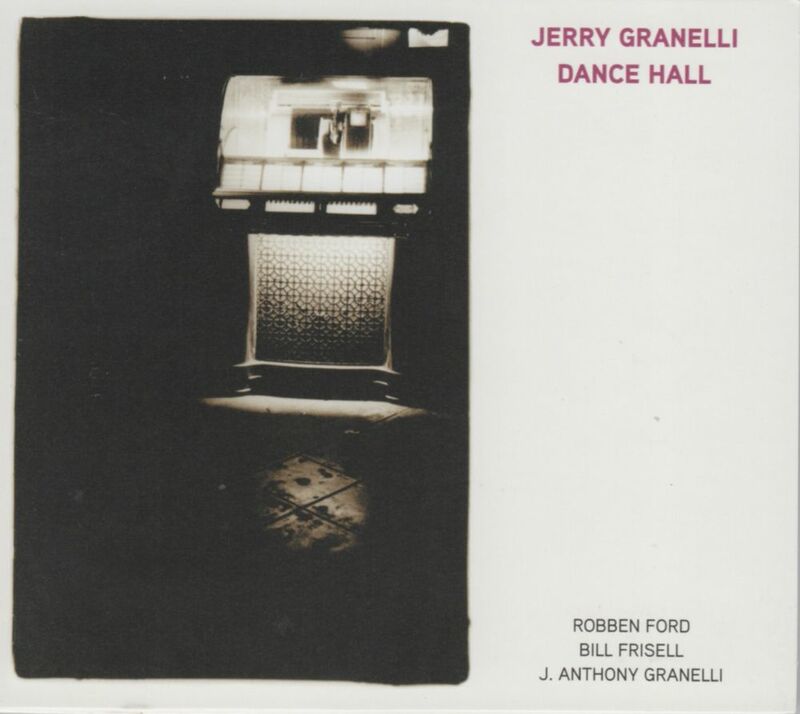 Dance Hall features guitarists Bill Frisell and Robben Ford, two of the most interesting and, I will say, distinguished musicians of the past 30 years. On electric bass is J. Anthony Granelli, Jerry’s son and long-time music director. To bring all this musical experience into one studio to record cover songs, no less, speaks to the essence of Granelli’s respect for and personal appreciation of popular song. 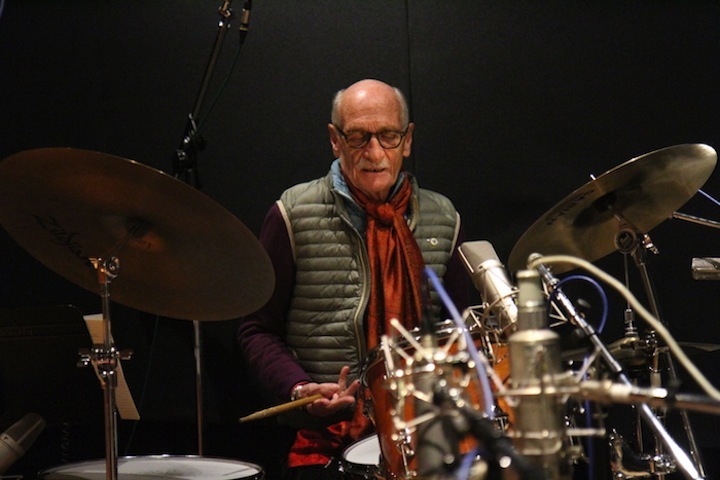 As he says in the liner notes, “the key for me was not doing covers, but finding songs that were personal to my journey” and what a journey it has been for the famous drummer, who turned 77 on December 30th. The record opens with Bob Dylan’s “Meet Me in The Morning” from one of his best records, Blood On The Tracks. While this instrumental version fails to capture the angst and anger of the original, it does have that soulful, R&B feeling about it that I really like. Dylan’s music has been covered for years, ever since he came on the scene in the early sixties, and while he may not have intended it, Granelli and the band have captured the feel of the song and built a steady pulse with which to improvise. Ford’s contribution to this opening song is the perfect fit. But the crux of the record and the free expression of musical ideas are best heard on “Boogie Stop Shuffle,” composed by Charles Mingus. On this track alone we experience the musical ideas of Frisell and Ford, while dutifully enhanced by Granelli’s remarkable touch on drums. It’s a jam session that carefully and joyfully evolves with Frisell’s ideas reflected by Ford’s responses. The rest of the album is a marvelous pastiche of music by the late Fats Domino (“Ain’t That A Shame”), Louis Jordan’s “Caldonia” and the ballad “This Bitter Earth” by Clyde Otis, first recorded by Dinah Washington. Like all the tracks on this terrific album, enhanced by a great horn section, they share a spirit beyond nostalgia, which is human and compassionate and makes your feet move. This is the kind of music we need to hear in 2018, to revitalize our faith in people and take us from the noisy political arena and back into the dance hall.